TAGAYTAY City in Cavite has always been a sentimental favorite for short weekend jaunts for many Metro Manilans, but the simple pleasures that it offers may yet be unknown to fellow Filipinos living south of Luzon who go to the city but only for business or quick visits to their relatives. Tagaytay’s light, cool climate is an attractive and comforting alternative to every type of vacationer. It offers a wide variety of hotels and inns to fit every budget, restaurants that appeal to even the snootiest of palates, rest and recreation with its indulgent spas and casino… I sometimes wonder if anyone actually even remembers that the city’s main appeal is actually Taal Volcano. 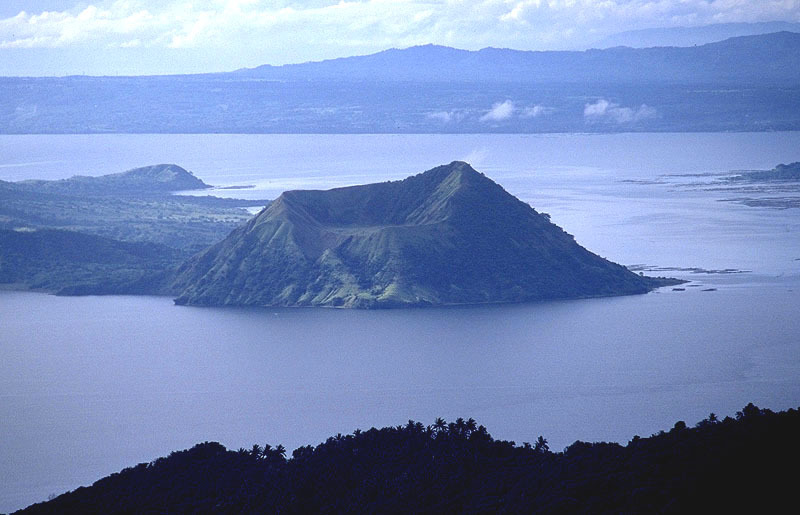 On a clear day, the volcano and its surrounding lake are just breathtaking to behold, especially now that there are fewer fish cages in the area. In Tagaytay you don’t need any tourist guide to see the sites…a road map will do just fine (just make sure you have a really smart navigator who can read it! ), and a quick eye for street signs and billboards. Even if you do get lost, just hail a tricycle and ask the driver for directions, or inquire from the people on the street…Tagaytay residents are most accommodating and are used to helping out disoriented travelers. Seeking heaven. The Convent of the Divine Mercy (Holy Spirit Drive, Barangay Maitim, 2nd East) is the home of the so-called Pink Sisters, or more formally, the Holy Adoration Sisters. The cloistered nuns lead a contemplative life, just praying and doing an around-the-clock adoration of the Most Blessed Sacrament, so visitors are asked to keep silent and avoid taking photos inside the chapel. The left side of the chapel is where visitors write their petitions, and ask the nuns to pray for them. In bloom. Because of its cool climate and volcanic soil, Tagaytay is a haven for plant and flower enthusiasts. Check out the Flower Farm (M. Dimapilis Road, Barangay Guinhawa), a sprawling five-hectare farm where the most gorgeous of blooms are cultivated and then sold in Metro Manila. Kid-friendly. Traveling with children means you have to keep them entertained. That’s what the zoological gardens in Tagaytay are for. There’s the Residence Inn Zoo (Km 65, Barrio Neogan) along the ridge, where the kids can feed the birds. (Its ostrich is quite the camera hound, by the way.) The zoo has a zip line to keep teenagers and brave adults occupied, as well. Just a skip away from Residence Inn, Paradizoo (Km. 63, Panungyan, Mendez) features farm animals. The zoo sits on an enormous farm planted to flowers and vegetables. Its most unique feature is probably the Perpetual Park, the final resting place for pets that have passed on. Aside from its comfortably luxurious rooms, Discovery Country Suites has a wide array of delightful dishes from its rustic menu. Eat! With its many restaurants whipping up a variety of cuisines, Tagaytay has become foodie haven. Restaurant Verbena at Discovery Country Suites offers sumptuous dishes in contemporary country style. Best bets are the Tagaytay Salad Caprese, the Sampler plate (salmon, lamb, beef stew) and Panna Cotta Heaven, three mini-panna cottas in different flavors. Guests checked in for an overnight stay also partake of the cheese and wine served for free during the cocktail hour. For a simmering and hearty meal of crispy tawilis, bulalo, and sinigang na maliputo, Viewsite Restaurant (Maharlika West) is an excellent choice. Aside from ensuring happy tummies, diners also have a pleasant view of Taal Lake. For the most delectable raisin bread and pot pies, Bag of Beans (3650 Aguinaldo Highway, Mendez Crossing West) is a great spot to eat or buy pasalubong (take-home) food treats. Meditate. When life’s duties and concerns press on us, it is sometimes a good idea to step back, withdraw from the noise and contemplate one’s situation to prepare for a new direction. Tagaytay is probably the most spiritual site in the country as there are a large number of retreat houses located here. For a non-denominational retreat, check out the Brahma Kumaris Center (1020 Magallanes Drive/T# 046-483-2128/0917-502-0243.) Stressed-out corporate executives may want to register for the Resilience Seminar Retreat Series on November 17, which may help you overcome burnout and fatigue. Pasalubong shopping. A myriad of food treats and natural products can be bought in Tagaytay and the adjacent Silang town for pasalubong. There’s Ilog Maria Honeybee Farm (Km. 47, Aguinaldo Highway, Silang) for propolis-based soaps, throat sprays and muscle liniment. Gourmet Farms (Km 52, Aguinaldo Highway, Buho, Silang) is for coffee beans, lettuce and salad dressings. (While you’re at it, visit its lush organic farm on-site and The Sanctuary, a retreat spot, at the back. The garden is just awe-inspiring.) Mr. Moo’s (pick a branch, they’re all over Tagaytay!) 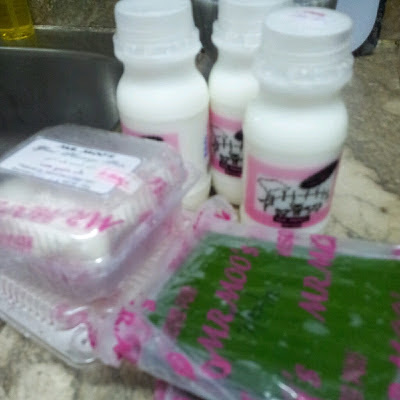 is the place to go for kesong puti (white cheese) and other cheeses, fresh carabao’s milk, yoghurt and pastillas. They pack everything in ice for free to make sure the products are still fresh when they arrive in Metro Manila. One of the best pasalubongs from Tagaytay is Mr. Moo's milk and cheese products. The entire highway from Tagaytay to Sta. Rosa, Laguna is lined up with Mr. Moo kiosks, so you'll never miss buying from them. With only seven suites, the luxurious but rustic-themed Discovery Country Suites (300 Calamba Road, San Jose/T# 046-4134567) guarantees guests rest and privacy, as well as the special care and attention that Discovery’s staff are known to provide—with their right hand on their heart, and a response of “Certainly” to each request. After you are sufficiently bowled over by the impressive volcano vista, grab the buffet lunch at the Taal Vista Hotel, and watch the cultural dancers perform the country’s native dances. Trust me, the hotel has never grown old. The rooms are quite spacious and the inhouse spa is tops in this part of the world. Getting there: By car, the trip to Tagaytay takes approximately an hour from Manila, traversing through the Slex, and going through Santa Rosa City, Laguna. You can also pass through Greenfields Exit, or the Southwoods Exit going through Carmona. There are several bus companies that go to Nasugbu, and they always stop at Tagaytay (Crow Transit, BLTB, Kirby, San Agustin and Saulog are mostly found in Pasay City). Just make sure you tell the driver to shout out when the bus has arrived in Tagaytay already or at the Olivarez Plaza. From there, you can either take a jeepney or tricycle to get around. For more details on commuting to Tagaytay and especially if you’re coming from Laguna and other areas in the south, click http://www.backpackingphilippines.com/2009/03/how-to-get-to-tagaytay-bus-commute.html.